In the 1990s, the former MGB investigator Boris Solovov secretly told a Swedish-Russian commission that the Swedish diplomat Raoul Wallenberg had been held as “Prisoner No.7” in Lubyanka Prison in 1947. Yet the FSB Central Archive refuses to allow Wallenberg’s family access to documentation that could confirm Solovov’s claim. In November 2009, the archivists of the Central Archive of the Russian Federal Security Service (FSB) informed two researchers who had been investigating Raoul Wallenberg’s fate for many years – Vadim Birstein and Susanne Berger – that on July 23, 1947, a still unidentified “Prisoner No. 7” had been interrogated for over sixteen hours in Lubyanka Prison. The FSB released only a heavily censored copy of the page in question. It showed that two other prisoners had been questioned together with “Prisoner No. 7”, on the same day, for the same length of time. 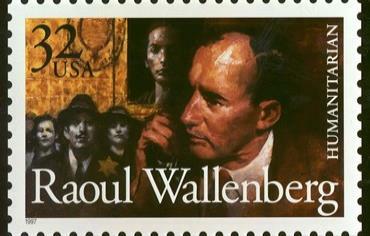 The men had a direct connection to Raoul Wallenberg. They were his driver Vilmos Langfelder, and Langfelder’s cellmate, Sandor Katona. Wallenberg had been arrested by Soviet forces in Budapest in January 1945, after he had saved the lives of thousands of Hungarian Jews during the Holocaust. Over four years have passed since. The issue is of central importance because the proper identification of “Prisoner No. 7” goes to the heart of the Raoul Wallenberg case, in particular the question of whether he died on July 17, 1947 – as has been claimed by Soviet and Russian authorities – or if, in fact, he survived some time after this date. In December 2013, I decided to file my own request for access to the register, as Raoul Wallenberg’s niece. My late father, Guy von Dardel, was Raoul’s maternal half-brother and fought for over six decades to learn the full circumstances of Raoul’s disappearance. Last month, I received a formal reply from the FSB Central Archive in which archivists informed me that, unfortunately, a review of the original Lubyanka interrogation register for July 22-23, 1947, “is not possible.” They provided no specific reason for their refusal. Once again, the FSB officials failed to present a full copy of the requested register pages or a detailed description of the entry for this mysterious “Prisoner No.7”, as I had specifically asked for in my letter. Naturally, I wonder what the FSB is hiding. Certain notations on the page? Names of other, still unknown prisoners held in Lubyanka in 1947? The name of the interrogator for “Prisoner No.7”? Obviously, Russian privacy laws should not apply to this particular entry, since the full identity of “Prisoner No.7” would remain shielded. Furthermore, the entries are 67 years old and should no longer be subject to the official Russian 30-year secrecy requirements. Even the 75-year rule governing “personal documents” should be waived in this case. If not Raoul Wallenberg, who could this man be? An unknown cellmate of Raoul’s in Lubyanka Prison, perhaps? Someone who had been active in Hungary in 1944- 45? The matter must be fully clarified, because it could provide vital clues to our investigation. I have become quite skeptical about the FSB’s claim that no positive identification of this prisoner is possible. I wonder even more when the FSB refuses me access to documentation that was clearly available to Russian officials as far back as 1991, at the start of the bilateral Swedish-Russian Working Group that went on to investigate the question of my uncle’s fate until 2001. The information about a “Prisoner No.7” being questioned for 16 hours, together with two other persons very closely associated with Raoul Wallenberg, should have been thoroughly examined in the course of that 10-year investigation. Yet it was not, since Russian officials for still unexplained reasons never formally disclosed the fact of this interrogation to the Swedish side. The information should have received serious scrutiny because during the 1990s the Working Group had received an important statement from Boris Solovov, a former investigator in the MGB’s 3rd Main Directorate, 4th Department, which in 1947 oversaw the Raoul Wallenberg case. In several interviews Solovov had told Swedish and Russian officials that at some point in 1947, he had been asked by his superior officer to deliver a package to the MGB archives. This package carried the label: “Contains materials related to ‘Prisoner No.7’.” It was to be opened only by the “head of MGB” (Viktor Abakumov). Even more interesting is the fact that Solovov had indicated explicitly that he knew in 1947 that Raoul Wallenberg was this particular “Prisoner No.7”. Solovov further testified that his superiors had prepared a complex diagram designed to keep track of prisoners whom they wanted to place in isolation because they knew of Raoul Wallenberg’s presence in Soviet captivity. In fact, Solovov stated that “Prisoner No.7” was included in this diagram. I would like to stress that he made these statements many years before the release of the more recent information from 2009, concerning an interrogation of a “Prisoner No.7” on July 23, 1947. In retrospect, it upsets me greatly that Russian officials clearly chose to withhold this highly relevant information during an official inquiry in 1991-2001. It raises the obvious question of what other documents and insights they have not shared. This year marks the 70th anniversary of Raoul Wallenberg’s humanitarian mission to Hungary and next January a full 70 years will have passed since his disappearance in Moscow. It is time for Russian President Vladimir Putin and the FSB to lay all cards on the table. I will continue my call for an independent, uncensored review of Lubyanka Prison interrogation registers and other key documentation in the Raoul Wallenberg case. I hope that the world will join our family in this request. The author of this article is the niece of Raoul Wallenberg.